Zach Rosenberg is a really nice guy. 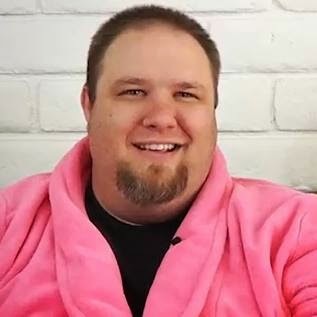 I want to tell you about my good friend, and pink robe aficionado, Zach Rosenberg. He is a fellow dad blogger and one of the two creators of 8 Bit Dad. Zach has been reading my blog since it was a teeny tiny blip on the internet. If you go back to my super early posts, you will see his comments. There are MANY reasons, but I am going to list a few here. He messages me from time to time to see how I am doing. He writes super fun and insightful articles that make me want to be a better writer. Here are 3 of my favorite hillarious pieces by Zach. Go read them! But promise that you won't leave me for another Dad Blogger! Anyway, if you are interested in reading more of Zach Rosenberg's work, you can find it in the following places. Other people like Zach Rosenberg too! Here are some more links to articles about Zach Rosenberg. You're too kind. I've just been a fan of your site because I heard you were Greg Kinnear's brother. I love Zach Rosenberg and pink robes. He also starts some great conversations in the dad bloggers group!